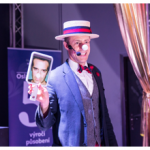 Damian has been practicing magic for more than 20 years, with more than 10 years experience performing professionally for corporate events for Europe’s biggest companies. He also makes regular appearances in film and television. 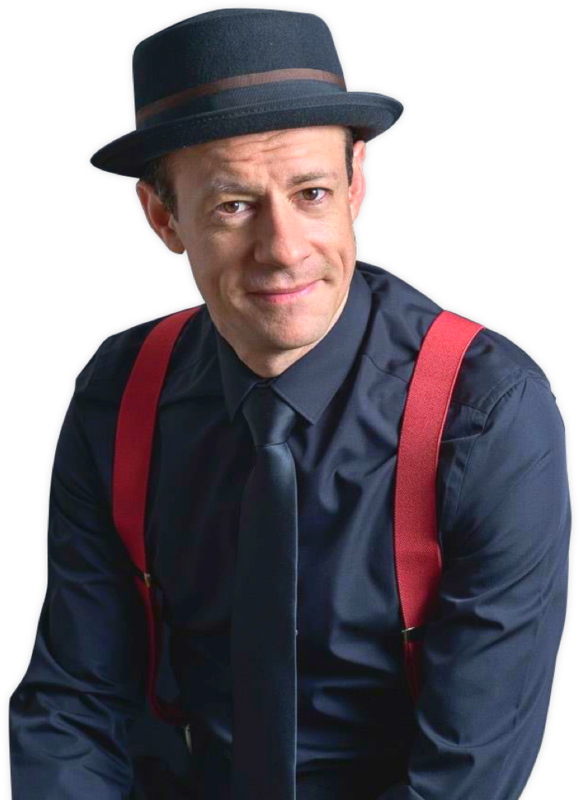 When he is not entertaining guests at corporate parties, Damian keeps busy as a performer in Hollywood and European film and television. 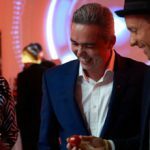 His face and magic hands can be seen in commercials by Starbucks, Škoda and Budweiser, among others. 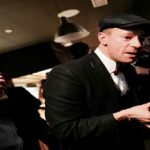 He has performed in international TV series, The Borgias, Transporter, The Heavy Water War and has worked with acclaimed Czech directors Petr Zelenka, Radim Špaček and Ondřej Trojan. This is magic performed close-up that can be performed under any conditions. 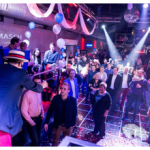 It is suitable for small groups and is the most requested performance for parties. It is often performed right at the guests’ table, with all the props in reach. This performance takes place on a small stage or open space at the front of the room. It allows all your guests to be entertained at the same time. Based on interaction with audience members in humorous situations. Damian’s style is based on comedy situations and interaction with his audience. For children (age 4 and up) and adults, as well. You did, as always, an incredible job and the evening came off without a glitch. 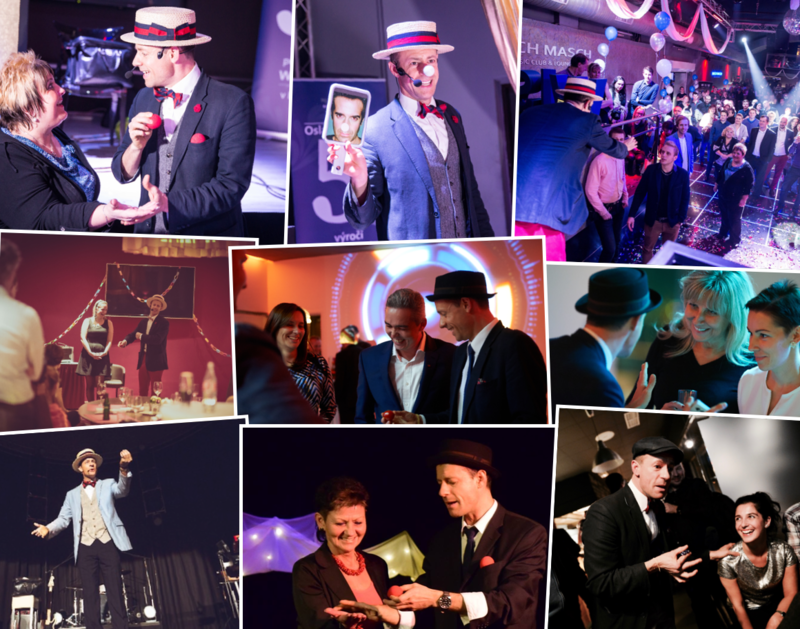 We got lots of comments on the ‘Gentleman Magician’ who seemed to appear just at the right time for everyone. 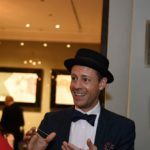 Walk-Around magic, also known as Close-up, or “micro” magic, allows your guests to experience magic right at their own table. 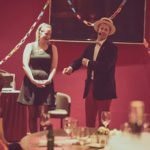 This style of performance allows your guests a unique and intimate magical experience, and can be performed under any conditions. Guests can shuffle the cards and inspect the props. They will laugh, clap, and be astounded. Damian will tastefully make his way through your party, entertaining guests in every corner. Even your friends on the patio, having a cigarette, won’t miss the show. 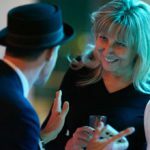 Magic of this sort can be enjoyed by individuals, and, or small groups, making it the ideal choice for events where you want an entertainer to mingle among the guests. I originally wanted to hire ***** (another, well-known magician), but he was booked. On a recommendation, I hired Damian, and I am so glad I did! 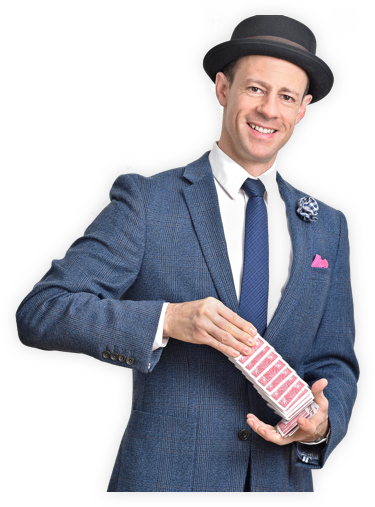 He is terrific, and now I hire him for all our events where we need a magician. 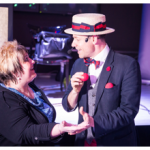 A stand-up style performance allows all your guests to enjoy the magic show, together. 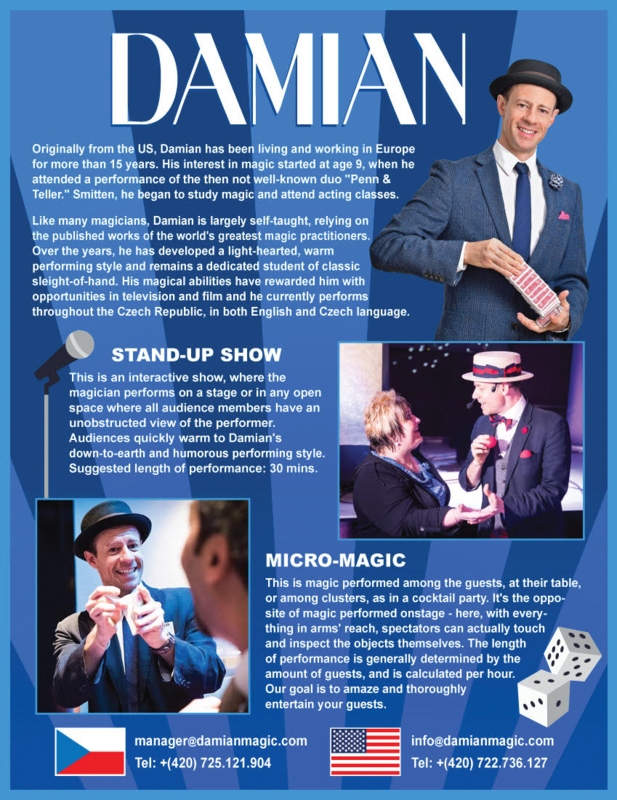 Damian’s performance is highly entertaining, based on comedy and cooperation with audience members. His show is suitable for both large and small groups and some technical requirements, such as sound may be necessary. Average show length is 30 mins. We hired Damian for an event at our hotel and he was so much fun, I had to have him at a family party at our home. I love how he can perform for a room full of kids and keep the adults entertained, as well. 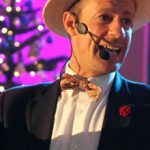 Damian has more than 10 years’ experience performing for children on 2 continents. His style is highly interactive and based on comedy situations with his audience. 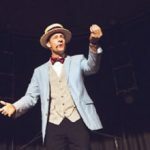 Damian has the ability to entertain both adults and children, simultaneously, making him a valuable asset for family events in need of a performer. 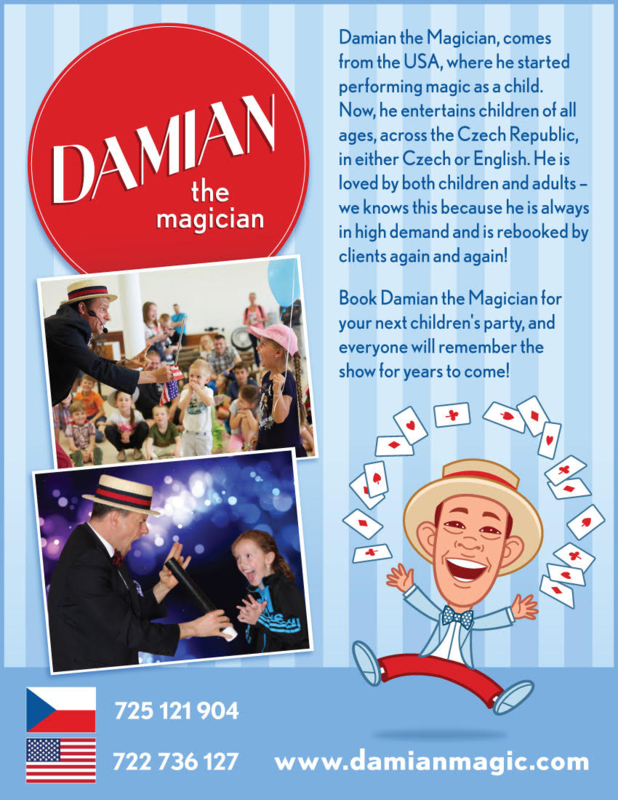 Hire Damian for your kids’ or family event-you won’t be disappointed! These Guys Saw the Magic and LOVED it. This Order secures the performance of Mr. Damian Odess-Gillett for the price and terms contained below. 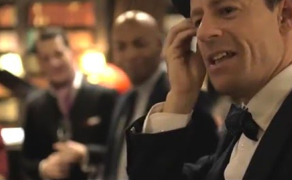 In the event of cancellation, the customer will pay 50% of the agreed price to Mr. Odess-Gillett‘s account. Please fill out this form and return it to info@damianmagic.com. You will receive a confirmation of your order. Changes in Performance Time possible only with our consent! 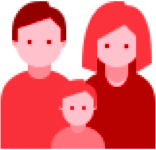 Please fill-in the agreed upon price for performance and the travel costs. Otherwise, this order is invalid! WE DO NOT PAY VAT! Travel from Prague and back 10,-Kč/km, flat rate for Prague 500,- Kč. TOTAL PRICE to be paid in cash upon presentation of invoice BEFORE commencement of performance. Parking space for one passenger car, INDEPENDENT changing-room or hotel room (no storage room or corridor). In the changing-room: table, 2 chairs, non-alcoholic drinks, such as water. Reimbursement of invoice before the start of Damian Odess-Gillett's performance. The above Technical Requirements are conditions for performance. Any changes must be agreed upon before the date of performance. The customer will ensure the above conditions at his/her own cost. If the above conditions are not met, the performance cannot take place. In case of un-met technical requirements, we reserve the right to full reimbursement of Performance and Travel. In the event of cancellation of the ordered event, the customer shall pay for it 50% of the agreed price on the contractor's account! Strictly necessary cookies, you allow the user to move around the website Damianmagic.com and use its basic functions. These cookies are necessary for the use of this website.